Ducharme Motors | New & Used Ford Cars, Trucks & SUVs in Bonnyville. Family Owned & Operated since 1959 we are your top Bonnyville Ford Dealer, and over the years we have distinguished ourselves as the Ford dealership of choice for Northern Alberta! At Ducharme Motors our experienced staff treat our customers like friends & family! We don’t believe in high pressure, suit and tie treatment – we truly want to work with you, and for you, helping you make that new or used vehicle purchase enjoyable & affordable. We are passionate about creating exceptional customer & community experience! Check out our reviews to hear more! Looking for a new vehicle? We have one of the largest selections of Ford F-150’s & Superdutys in North Eastern Alberta @ guaranteed lowest prices! We also stock a vast selection of other Ford models including the Explorer, Escape, Edge, Focus, Fusion, Expedition, Mustang, EcoSport, & More! Plus, let us get you the best value on your trade in! Browse our full selection online in our new vehicle inventory. As both a new & used vehicle dealer, we also carry an unbeatable selection of quality pre-owned vehicles. We take our Pre-Owned Vehicles seriously. All of our Pre-Owned Units go through a full 110 Point Mechanical Inspection, Full Service, and a Complete Interior & Exterior Detail. Only PREMIUM units are kept in our inventory – units not deemed acceptable to our quality standards are sold wholesale and not made available to the public. All Makes. All Models. Browse our full selection online today! You can get a quick oil change or new tires with us here at Ducharme Motors. This new and used car dealership in Bonnyville fully services vehicles of any make or model, and offers a full supply of parts and accessories. Our Service Centre and Parts Centre are open to customers throughout the Bonnyville, area. 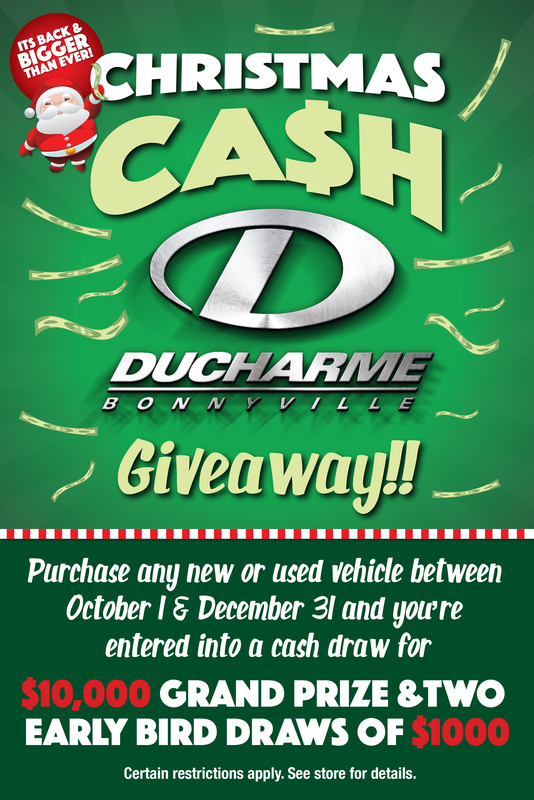 If you’re interested in buying a new or used vehicle in Bonnyville but don’t have the cash on hand, don’t worry about it. Our finance department will help you get behind the wheel of your next vehicle. What a great service department!! Service is great and staff is friendly and helpful. No fooling around, right to the bottom line, no pressure, lots of help. #5 vehicle purchased from this dealership, will be going back. The staff are amazing, brought our truck to edmonton Ford on 97 st. and they quoted us a very expensive quote. Brought our vehicle to Ducharme and they cut out all the unnecessary things. The mechanics did a wonderful job and were honest and straight forward. Service was great. I know I can trust bringing my vehicles here. Thank you so much for saving us so much money and making our vehicles safe again. Will definitely be bringing our vehicles here. Awesome fast service. Got the truck I wanted. They had all the paperwork ready when I came in did not take more than half hour at the most. Best ford dealership I ever had the privilege of visiting. Thanks for the service!! I have been going to Ducharme's for quite a few years now and the service is always great. They make you feel comfortable and welcome. Always a pleasant and timely service when dealing with Ducharmes. Great place to get an oil change done quickly, get technical assistance on problems or have a Ford trained mechanic to complete the work necessary to keep your vehicle on the road. They also have the best price on tires! New and Used Ford Cars, Trucks, SUVs in Bonnyville, AB. Buy a New or Used Ford today!